FORT WORTH — A dozen years ago, then Vicar General Father Michael Olson and Chancellor Father E. James Hart painstakingly went through hundreds of personnel files of all the priests who had served in the Diocese of Fort Worth, whether currently active, retired, or deceased. As part of the diocese’s vigorous push to remove and bring to justice any abusive clergy, they combed pages of documentation searching for red flags that might indicate any signs of sexual misconduct. That experience instilled an uncompromising attitude in the future prelate to uphold zero tolerance of sexual abuse. Building an environment in the Diocese of Fort Worth where abusers are held accountable and where the repercussions of sexual abuse of minors are handled transparently has been a strenuous and lengthy undertaking. In North Texas, as in much of the world, there was a time when clergy who abused children in the ‘70s and ‘80s were sometimes unpunished and unfettered, reassigned and given the opportunity to repeat their crime in silence. While the Diocese of Fort Worth had enacted policies on sexual misconduct in the mid-1990s, they weren’t as comprehensive as the ones that would come a few years later. In 2002, the Boston Globe broke news that the Archdiocese of Boston had quietly settled hundreds of claims of child sexual abuse against at least 70 priests over ten years. 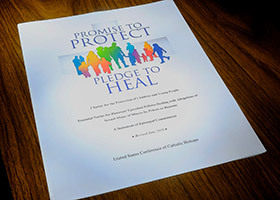 In response to the Boston scandal, the U.S. Conference of Catholic Bishops (USCCB) met in Dallas in June 2002 and passed the Charter for the Protection of Children and Young People. 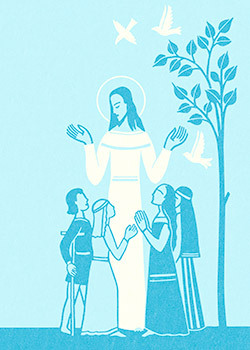 The Dallas Charter, as it came to be known, comprises 17 articles designed to achieve four objectives: promote healing and reconciliation with victims/survivors; guarantee an effective response to allegations of sexual abuse of minors (which includes mandatory reporting to public authorities); ensure accountability; and protect the faithful in the future. 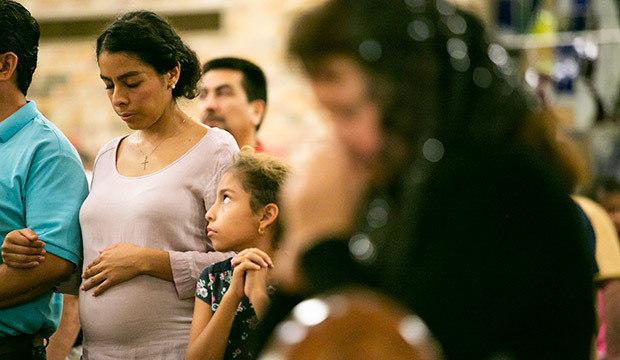 The Diocese of Fort Worth embraced the Dallas Charter, fully implementing the policies even before the Vatican officially recognized them later that year. But to enact the Dallas Charter, the diocese had to grapple with some painful parts of its past. The Diocese of Fort Worth was not immune to the painful chapter of priest abuse scandals that shook dioceses around the world in the early 2000s, including Boston, Dallas, Palm Beach, Fla., and others. Of the more than 450 priests who had served in the Diocese of Fort Worth since its founding in 1969, eight were accused of “improper sexual behavior with minors,” then-Bishop Joseph Delaney stated in a 2004 diocesan report. Thirty victims reported abuse by those eight priests with the majority of the abuse taking place in the ‘70s and ‘80s. At the time, three of the accused priests were deceased. Two were religious order priests who had been removed from ministry. Three were diocesan priests who had also been removed from ministry. By June 2005, the diocese publicly released the names of the eight priests who had been accused of sexual misconduct with minors, making it one of the few in the nation to identify their accused. A subsequent release of 700 pages of confidential diocesan documents detailed the histories of the accused priests and portrayed a pre-Charter leadership that struggled to respond to incidents of sexual abuse, sometimes handing out light punishments to the accused, such as reassignment, mandatory counseling, or supervision by another priest. The aftermath for the victims ranged widely. Some never saw justice completely served as the statute of limitations expired. Some received settlements. Some accepted free counseling (which is offered in all cases). Some saw their abuser defrocked. Some saw their abuser charged and imprisoned. In the case of one abusive priest, victims settled claims and saw the name of the former priest scrubbed from church facilities. As headlines worldwide revealed more allegations and convictions of priests, change was already happening in the Diocese of Fort Worth. 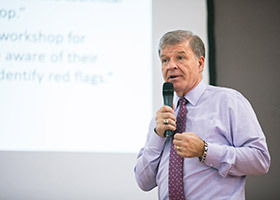 Prior to the Dallas Charter, the diocese was forging new measures to deal with instances of abuse and developing protocols for teaching people how to spot and prevent abuse. Nevertheless, the Charter was a much-needed shot in the arm for the Church in the U.S., and one case in particular showed the immediate impact it made in the Diocese of Fort Worth. Ordained in 1979 for the Diocese of Fort Worth, Father Rudolf Renteria was the last of the eight accused priests not to have faced justice by the time of the Charter’s inception. In 1981, he was accused of “improper sexual touching” of a 14-year-old boy at St. Matthew Parish in Arlington, where he had served for three years. Bishop Delaney had confronted Fr. Renteria shortly after the incident and reassigned him to a rural parish, with no further disciplinary action. Over the next two decades, Renteria bounced around a few more parishes before being assigned to hospital chaplaincy work in Dallas, where he ministered for several years without incident. 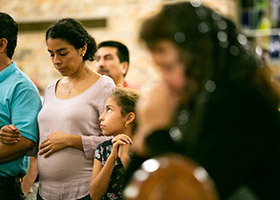 The Renteria move cemented Fort Worth as one of the first dioceses to voluntarily embrace and actively begin implementing the Charter’s policies, even as it awaited Vatican approval. In 2006, Bishop Vann, third bishop of the diocese, petitioned Pope Benedict XVI to laicize Renteria. The pope decreed his dismissal from the clerical state in 2010. 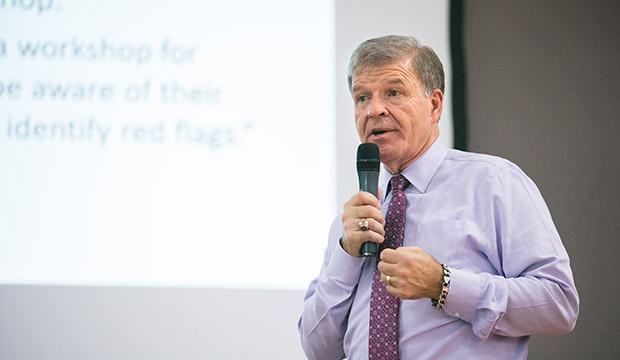 Following Bishop Delaney’s death in 2005, Bishop Vann and Vicar General Olson advanced a zero-tolerance policy on sexual abuse, implementing several new measures. Late in 2007, the diocese posted a “List of Priests with Credible Accusations of Sexual Misconduct with Minors,” on its website. The report lists those priests who served in the Diocese of Fort Worth and had “a credible allegation” made against them. The list also details what actions have been taken against them. Fort Worth is the only diocese in Texas that publicly shares this information at this time. That same year, Bishop Vann stated in the NTC that the diocese had implemented an enhanced mandatory sexual abuse prevention program for children, youth, employees, clergy, and volunteers. More changes to make the diocese a safer place came over the years. In 2008, the position of Safe Environment Coordinator was established in parishes and schools in order to help with implementation of the program. In 2009, the diocese began automated background checks on priests, religious, employees, and volunteers. And in 2010, the diocese began publishing on its website a “List of Priests who have been Laicized.” These are priests, who because of credible accusations of child sexual abuse, have been canonically reduced to a lay state and can no longer function as priests. After his installation as fourth bishop of the Diocese of Fort Worth, Bishop Michael Olson forged on with creating a safer Church, assuring laity that he was “fully committed” to upholding the Charter and preventing future tragedies. As one of his first acts, he directed the diocese to participate in Child Abuse Prevention Month (April), to raise awareness about ways to prevent child sexual abuse. Making a public call for victims to come forward after any reported incident of child sexual abuse that takes place at a parish or diocesan property is one part of that. But the diocese goes beyond the requirements of the USCCB Charter by making calls for victims even in cases of sexual misconduct not involving minors. Aside from addressing clergy, the policy includes all staff, teachers, and volunteers, as a 2016 case at St. John the Apostle Parish in North Richland Hills proved. When the diocese received reports of an adult volunteer abusing a child, officials quickly alerted police and Child Protective Services. A diocesan representative visited the parish the same week of the reports to encourage any additional victims to contact the diocese’s Victims Assistance Office. Thanks to prompt action on the part of the victims, law enforcement, and the Church, the accused volunteer was arrested on sexual abuse charges in 2017. By 2017, the Safe Environment Program had trained and processed criminal background checks on 27,498 volunteers, 946 educators, 942 employees, 127 priests, 75 deacons, and 41 candidates for ordination. On its annual Safe Environment audits, the USCCB noted the diocese’s excellent compliance with the Dallas Charter measures. However, Bishop Olson was concerned that “familiarity breeds complacency” with the program and he charged the Safe Environment Office to enhance the program. A new training program with face-to-face training and two-year renewals was launched in July, after several months of planning. As of Sept. 30, more than 4,000 people had been trained through 156 awareness sessions. In addition to a more robust training program, criminal background checks became more intensive too, including checking national databases of individuals who have been removed from youth-serving organizations and those who have had professional licenses suspended or revoked. Although training and criminal background checks are the primary occupation of the Safe Environment Office, they also oversee three other activities that are critical to their pledge to protect and to heal. First, the office works with a victims’ assistance coordinator who helps arrange counseling and encourages victims to file a police report. Also, the office offers to have the bishop meet with the victim and to provide pastoral care and services focused on healing. The Safe Environment Office also facilitates and coordinates a sexual misconduct review board for the diocese. Composed of lay men and women with expertise in psychology, law, criminal justice, and children’s health, the board reviews individual allegations to advise the bishop on all aspects of those incidents. The Conduct Review Board does not conduct investigations. The board also advises the bishop on the diocese’s implementation of the Charter and gives input into the training program. Bishop Olson is pleased with the enhancements to the Safe Environment program. “I have great confidence in where we are going, that it’s the right way to go and the enhanced intensity is what’s needed to make sure it’s at the forefront of our minds,” he said. With changes sure to come to the Charter after the U.S. bishops’ meeting this November, the diocese’s intensity isn’t letting up. This summer’s Pennsylvania Grand Jury report sent shockwaves around the nation as it unearthed more than 300 abuse claims dating back 70 years. As a result, officials in 12 additional states have announced investigations into multiple dioceses. Civil authorities are demanding transparency and accountability in abuse allegations. Since the Dallas Charter, transparency and accountability have driven the Diocese of Fort Worth’s handling of child sexual abuse cases, past and present. Strong policy and equally strong application have gone hand-in-hand to ensure the protection of minors. Richard Mathews, director of Safe Environment for the Diocese of Fort Worth, said the diocese’s transparency has two aspects: clarity of policies, programs, and procedures; and regular reporting of both compliance and noncompliance. Mathews acknowledged that although transparency can be painful, it’s necessary and essential to creating a safe environment. “By being transparent, we become vulnerable to criticism, being second guessed, and even at times having to acknowledge failures and shortcomings,” he said.